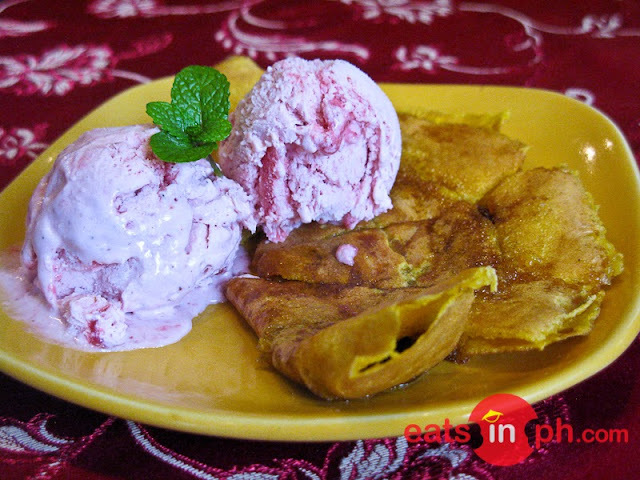 One of Zenz Bar and Restaurant's best-selling desserts, Berry Strawberry Crisps is strawberry ice cream with cheese crisps. The hot cheese crisps perfectly matches the frozen strawberry ice cream. A "berry" delicious combination!